Two versions of Barry Mann & Cynthia Weil's composition "Home Of The Brave" entered the Billboard Hot 100 of August 28th 1965; one by Jody Miller on Capitol, the other by Bonnie & the Treasures on Phil Spector's Phi-Dan logo. Both labels thought they possessed an 'exclusive' on the song. Adamant that his was the original and the best, Spector took out ads in the trade magazines declaring, 'Evitez les confusion! …original creativity is still the backbone of our industry'. The Phi-Dan disc, arranged by Nick De Caro and produced by Spector protégé Jerry Riopell(e), remained on the chart for five weeks, peaking at #77. For Miller's rendition, arranged by Billy Strange and produced by Steve Douglas, it was a different story. By mid-October it had reached a high of #25, providing the folksy chanteuse with her third hit of the year. Jody Miller went on to notch up 27 country hits and recorded over two-dozen albums. Bonnie & the Treasures never bothered the charts again. For years it was rumoured that Bonnie was, in fact, an alias for Ronnie Bennett of the Ronettes. Now we know better. 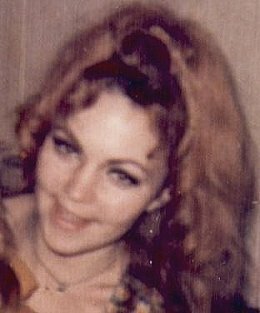 Bonnie was, of course, one of several recording names used by an obscure young singer-songwriter named Charlotte Ann Matheny. She died in 1976. Spectropop is pleased to present her story.